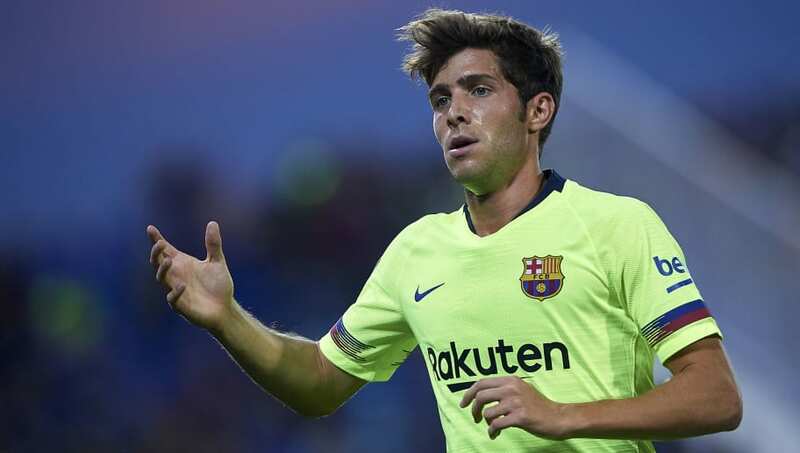 Barcelona have been dealt a blow ahead of their Champions League clash with Tottenham after the club revealed Sergi Roberto will miss out through injury. ​The Spaniard was substituted early in the second half of Barca's 1-1 draw with Athletic Bilbao on Saturday with the full extent to his injury unknown at the time, however it now looks as though it could be more serious as first thought. The club took to ​Twitter after the game and revealed that Roberto suffered a muscular injury which will keep him out of Wednesday's game, adding they will further evaluate him in the coming days. ​The versatile youngster has started all but one of ​Barcelona's games in all competitions so far this season, and his position has been rotated by Ernesto Valverde who has played the Spaniard as both a right-back and as part of Barca's midfield three at times this campaign. He played the full 90 minutes of the Catalan's Champions League opener as they comfortably saw off PSV Eindhoven 4-0 at the Nou Camp, unfortunately he will now need to wait to return to action. ​The injury now looks to have opened up a place for Nelson Semedo to slot in a right-back in Roberto's absence for Wednesday's game as the five-time winners look to make it back-to-back wins to start their Group B campaign.